In Trump’s appeal, the Left seeks clues on winning back the white working-class. These non-college educated white swing voters ranked “jobs and the economy” as their top concern. And this is the opening for progressives. Even as Donald Trump fans cheer on his not-so-veiled barbs at Muslims, Mexicans and immigrants, some progressives see opportunity. No one disputes that racism is a force behind Trump's appeal. But in looking at broader factors, Frank and others seek clues to a puzzle that has stymied the Left for decades: how to counteract the GOP's Southern Strategy and convince the white working-class to choose economic self-interest over racial bias. To make the case that the Trump voter is not beyond salvation, we invited Matt Morrison, deputy director of the AFL-CIO’s 3.2-million member community affiliate, Working America, to this month’s roundtable. In December 2015 and January 2016, Working America surveyed more than 1,600 white working-class voters about their opinions on this year’s election. 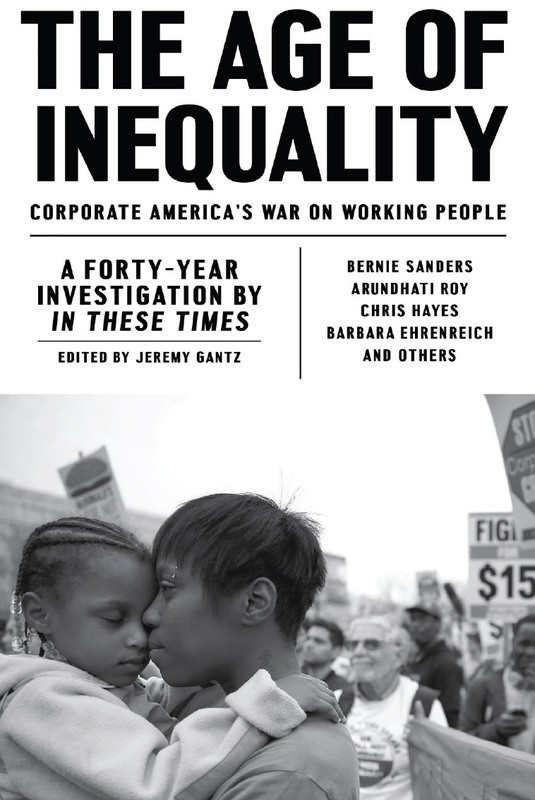 To consider how racism and economic anxiety intersect, we reached out to Ian Haney Lopez, author of Dog Whistle Politics: How Coded Racial Appeals Have Reinvented Racism and Wrecked the Middle Class and of a recent white paper for the AFL-CIO urging unions to work for racial and economic justice simultaneously. Trump’s base is far broader. In fact, his popularity dwarfs that of the other GOP candidates across every major division among conservatives: gender, age, ideology and, yes, class. Where the breadth of this support perplexes some, I see race again, for the GOP today draws roughly 90 percent of its support from white voters. It is white identity that unifies the otherwise disparate conservative movements in the United States. But don’t understand “white” as just skin tone or eye color. Whiteness is instead an orientation, a worldview, a perspective that views society—consciously or unconsciously—in terms of color-coded scales of human worth. Whiteness sees some as decent, deserving, innocent and fully human, and others as the opposite. Among conservatives, some more than others are deeply committed to whiteness as an organizing principle—more likely to root their political identity in perceived racial threats than in positions regarding free markets or the importance of institutional stability. It is among these racially fearful conservatives that support for Trump surges. But wait: Does this mean it’s race, after all, and not class that drives Trump’s support? Absolutely not. Fueling Trump's rise are the two great fears many whites face in the United States—demographic change and economic insecurity—and Trump’s greatest success lies in how he has fused these together into searing panic. MORRISON: It’s hard to argue that Donald Trump is not a racist. Since joining the presidential race, he has used misogynist, racist rhetoric to exploit the racial anxieties of white working-class voters who have seen their wages and economic prospects erode over the past generation. What makes Trump so dangerous is the way in which he fuses anti-elite sentiments, economic populism, xenophobia and bigotry. For 13 years, Working America, the community affiliate of the AFL-CIO, has been organizing its members, including a large segment of white working-class communities, around their economic anxieties and aspirations. To better understand how the Trump phenomenon and right-wing populism impact our membership, we set out to talk to voters about their views of the candidates and the issues they care about. In the five weeks between Dec. 18, 2015, and January 22, Working America canvassers spoke with 1,689 voters in swing areas near Cleveland and Pittsburgh—90 percent of whom had voted in 2012, and 98 percent of whom had household incomes below $75,000. We found these voters were deeply concerned about the economy and about their fates in a time of rapid change. We also found that for a portion of these voters, Trump’s attacks on immigrants, African Americans and Muslims were extremely salient. But we also talked to working-class people who found some of Trump’s economic rhetoric attractive—and the candidate less so. These non-college educated white swing voters ranked “jobs and the economy” as their top concern. And this is the opening for progressives. It is difficult to separate legitimate anger at the status quo from bigotry and dog-whistle appeals. But rather than parse out that distinction, the question before us is how we counter the Right’s divisive, racist rhetoric with a message that finds common ground with white working-class voters. One answer is to talk with, not about, them. For waffling white working-class voters, we found that when we focused the conversation on issues, not personality, many working-class people were eager to hear new information and actually engage in a discussion instead of a yelling match. Connecting voters with more and better information can shift hearts and minds. We found that if we provide people with a systemic target for their economic woes and anxieties instead of focusing on “the other,” we can begin to counter bigotry. IAN: Implicit in Matt’s response about using “jobs and the economy” to open a conversation and focusing on “issues, not personality” is an analysis that goes like this: Let’s build solidarity by focusing on what unifies us, class, rather than what divides us, race. 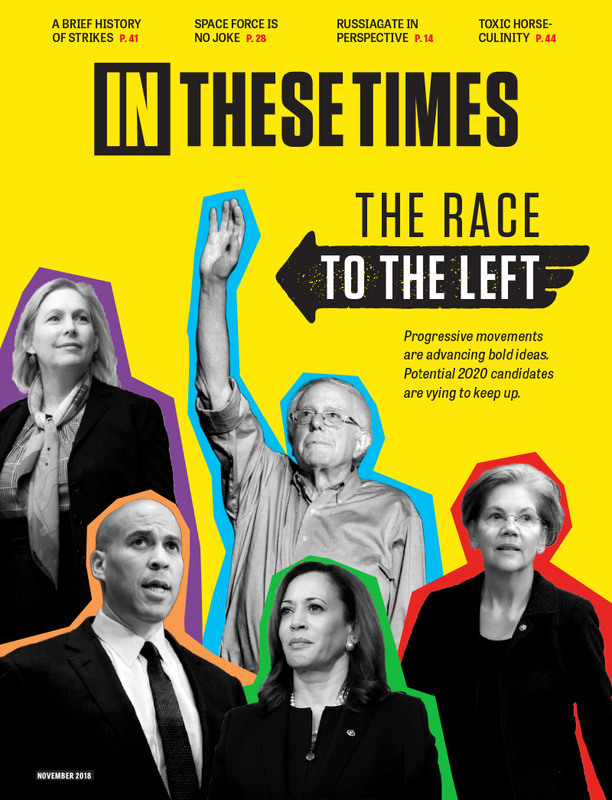 This approach is pursued across the broad Left, from centrist liberals to radical Marxists, but in the context of the United States, it misses the inseparable connection between race and class. Class is more than just one’s income or even one’s relationship to modes of production; it’s an ideological construct that justifies (or challenges) existing distributions of power and wealth. This is why class consciousness is never natural but is always contested and hard fought. Plutocrats vigorously propagate conceptions of class that disempower working people and generate popular support for social arrangements that overwhelmingly benefit the very wealthy. Too abstract? Here’s the concrete version: Donald Trump, just like the Republican Party for the last half-century, has been strategically linking economic issues to racial anxieties, seeking to create a political consciousness among working people that blames our wrecked economy on dark and dangerous people of color rather than on the plutocrats who, like Trump, rule—and ruin—the world. When Trump rails against nonwhites, he’s doing much more than activating prejudice; he’s shaping class consciousness, encouraging whites to see the dangerous few not as the bosses but as blacks and browns. This is dog-whistle politics in its full form. It’s not simply the use of coded racial narratives designed to stimulate prejudice and fear. It’s an invidious effort to craft a worldview that trashes social solidarity among workers, while building a false rapport between working-class whites and the financial titans who’ve hijacked government and rigged the economy. Working people may vote for Trump’s wall or his ban on Muslims, but what we’ll get is massive tax cuts for the very rich. This points to the way forward. Progressives cannot succeed by ignoring race in favor of class, because race is central to the lies the billionaires tell white working-class families about their economic position and their social status. Instead, we must hammer home a new, simple truth: When racism wins, everyone of every color loses. The fate of the white working class—their jobs and pensions, their neighborhoods and schools, the ladders of upward mobility for their children—depends on this country recognizing and repudiating race as a weapon of political and economic manipulation. MATT: We agree: Donald Trump has been “strategically linking economic issues to racial anxieties” to encourage working people to blame their economic insecurity on immigrants and people of color rather than plutocrats or systemic injustice. The question before us: How can we disrupt that ugly conflation in a way that changes minds—and votes? An engaged, respectful conversation on the voter’s doorstep is where we begin. Working America reaches a broad swath of black, Latino and white working-class constituents. And we have unique expertise with white workingclass moderates and independents who seldom hear from progressives. We offer these voters the opportunity to rethink their views in light of different information. Ian missed an important finding of our Front Porch Focus Group report: Half the white working-class voters we spoke with had yet to make up their minds. The majority were much more concerned about jobs and the economy than about immigration. And people were eager to talk, hungry for reliable intel. We were able to provide an alternative view and begin to change the perspectives of many of these voters. To understand the impact of these interactions, look at the math from the last presidential elections. We learned how to successfully move some of the toughest swing neighborhoods in the country. In 2012, Obama won 39 percent of the white vote nationally. In Ohio, he won 41 percent of the white vote. Without those 2 points, he would have lost the state. The math for 2016 is equally sobering: If the Democrats cannot bring along at least 40 percent of the white working class in critical states, we will not be able to win the presidency; and without those same voters, we will not be able to elect a Senate that advances progressive goals. In the end, it’s not about elections but about the kind of democracy we are day to day, year to year. A conversation with a canvasser can’t unseat generations of prejudice, but our work opens the door to people reconsidering Trump’s racism and misogyny—and to preventing future Trumps from gaining such potency. To forge a progressive movement that can win elections, govern well, foster greater equity and enlarge our base, we need an ecosystem of organizations that reach wide and deep to engage voters across all the communities in which we work. If we do this, we can win this November and beyond. Ian Haney López, author of Dog Whistle Politics: How Coded Racial Appeals Have Reinvented Racism and Wrecked the Middle Class. Matt Morrison, deputy director of Working America, AFL-CIO's community affiliate. Do you understand trump economics? He hasn't told us any economic plan. He has promised us more and greater war. He said he will wipe out ISIS. Maybe he hasn't noticed that we have been trying to wipe out ISIS since Bush, and found that since we sell them arms, they are able to continue. ISIS is not a religious matter. It is men trying to take over a country. If you think Trump can find a job for you, bring your uniform. trump is ent irely racist, vide what he asaid about mexicans. everyone a living wage, minimum, if you want to pay a first rate worker more, good for both of you. I run a very small business, we are 2 electricians and an apprentice. I pay the apprentice more than I make. He's worth it and we need him. But you will probably think I am an exploiter by definition. And are you saying no matter if a worker is motivated and dedicated --or lazy and unconscientious-- his wage should be the same? And proposing wages be "uniform around the world?" I already knew you were out of touch with reality when you say all Trump supporters are racists. But now a see a whole new level to how an ideological view requires one be immune to reality in so many ways. No doubt you will think I'm a "dumb racist" [and mean] person for disagreeing with your absolutely absurd approach to the real world. If only the leaders in the Democratic Party Establishment would realize that there are millions and millions of people like Will Wilkin, but they have simply decided to ignore people with the views of Will Wilkin. This article proves exactly why the Progressive Movement does not understand the appeal of Donald Trump to Working Class people of every race. The immediate reliance and claims of racism demonstrates that there is absolutely no intention to listen to or care about the problems of Working Class Americans. This is how out of touch such "activist leaders" are - and you put it in black and white to make sure the world knows it too. they are the poor dumb racists who let the republicans divide the black and white working class & who fail to see that wages need to be uniform around the worlld and within each country so th at the capitalists cannot play off one poor class against the other. Your smug contempt for ordinary Americans is hopefully rooted in reading articles like above and not knowing any actual Trump supporters. The ones I know are smart and compassionate people worried about the future of our country. They despise professional politicians of both parties which, statistically speaking, is pretty well-deserved. This article is more of the identity politics that drove me out of the left. Calling everybody who questions the cultural left a "racist" is wrong. Calling everybody who questions wide open borders a racist and xenophobe is wrong. None of the Trump supporters I know are racists. They are rightfully disgusted with both parties and want somebody who is not bought and who rejects the Free Trade policy ruining our economy. I am 100% behind Bernie Sanders, and changed my registration from "unaffiliated" to Dem just so I can vote Bernie in the primary, but if Bernie is not on the Nov ballot I will vote Trump, and if Trump is also not there I will not vote for President. Neither Bernie nor Trump (nor any other candidate) is giving the immigration issue the nuance required. One needn't be racist or xenophobic to wonder if we need a better immigration policy and enforcement, one made in the interests of the prosperity and security of the citizens rather than wide open and including abandonment of enforcing the laws that exist. There are a lot of increasingly desperate Americans who are competing for jobs of poverty wages. I'm not blaming the immigrants but I think it is at least a fair question that we need to consider a tighter immigration policy until we can stabilize and improve the economic conditions for those of us already here. And I hate to say it but if I thought Trump were consistent and serious I'd say he's ahead of Bernie Sanders in giving a vision of a trade and diplomacy that puts our national interest first. Trump has amazed the world with the sensible suggestion that Europe should pay for its own defense and we should seriously reconsider whether NATO treaty has any use to the USA in the post-post-cold-war world. Right now we are obligated by treaties to go to war to defend the borders and regimes of dozens of countries around the world, a trip-wire for war that HRC (and Obama) have been intent to expand, with zero sense of our true national interest. Meanwhile HRC is part of the neocon party expanding NATO to the borders of Russia and meddling in politics on their doorstep, where we have zero vital interest and where Russia sees existential threat from NATO encirclement and economic strangulation. I see HRC as absolutely dangerous and harmful, much more worrisome than Trump. Bernie is afraid to utter true patriotism due to his leftist background and milieu but I support him anyway despite his rhetorical style because I think he will be best for our country, he gets it that Free Trade is ruining our economy. I wish Bernie would go as far as Trump in questioning the institutions of our militarism because questioning it only on a case-by-case basis without dismantling the institutions (and treaties) that justify it will always be a rearguard action leaving the initiative and the ideology in the hands of the militarists. Those poor working class suckers who support Trump are the same folks who supported Wallace and the Reagan democrats, what have they got for their support all these years. They have been shafted, their prejudices their vanity, their inferiority complex has been used by the politicians and that is all. Perhaps pointing out to them that they have been screwed most by their own prejudces will wak them up? Trump isn't a racist. He is pandering and appealing to his supporters, who are the racists. Trump sounded off to what people want to hear..... .The girl killed by the illegal in San Francisco ? the fact that San Francisco is a amnesty city? the fact that he has been deported numerous times.... People - law abiding people get fed up with illegals who are not only here illegally but breaking our laws.....EASY TO SOUND OFF ABOUT. Surprise, Surprise, Surprise - President Obama said "WE Will Prevail" three up & three down same words - exactly the same F A I L U R E.
WE ARE LOSING....ARE YOU SAFER TODAY?? I get so sick of hearing this racism crap. Obama got 99.9% of the black vote and the vast majority of Hispanics vote, and no one cried about racism then. only whites can be racists huh? liberal fascists. Superficial drivel--calling Trump racist reflects monumental stupidity and worse displays the american liberal to be at least as racist. The anti-intellectualism here precisely explains the decay, police state and oligarchy that american so desperately embrace.